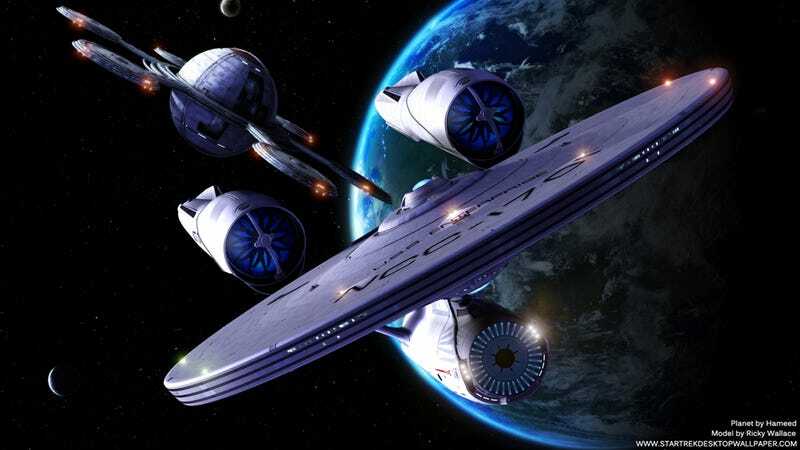 What do you want to see from a new Star Trek TV show? Earlier today, we heard encouraging news: there's actual talk of a new Star Trek TV series. With the show's 50th anniversary coming up, the timing for a Trek revival on the smaller screen might be good. But what would you want to see from a new Trek? Which era? Which timeline? Top image via StarTrekDesktopWallpaper.com. Planet by Hameed, Model by Ricky Wallace.